Last week we hiked the Appalachian Trail from Pittsfield Road in Washington to Rte 20 in Lee, about 10 miles. It was a beautiful day, not too hot. The woods were cool and dark under bright sunshine. 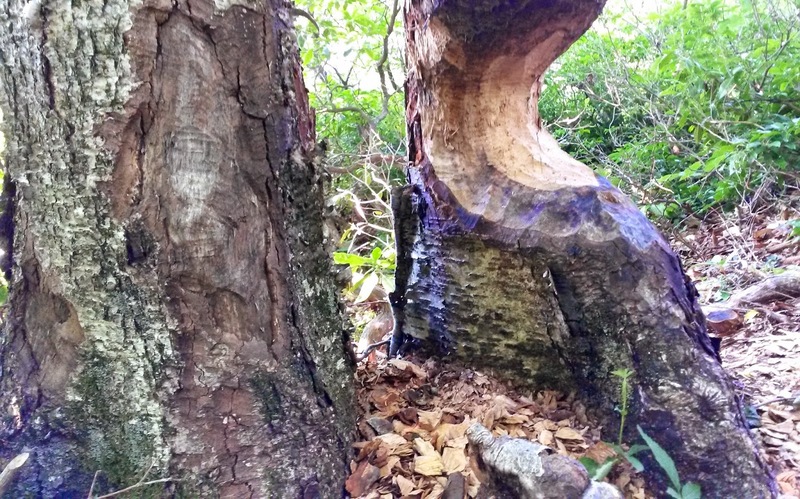 The beaver activity was what impressed me the most. It's said that, other than humans, beavers are the animal that has the most effect on the environment. They cut mature trees and shrubs and build dams that raise the water level six feet and more, sometimes flooding many acres of land. 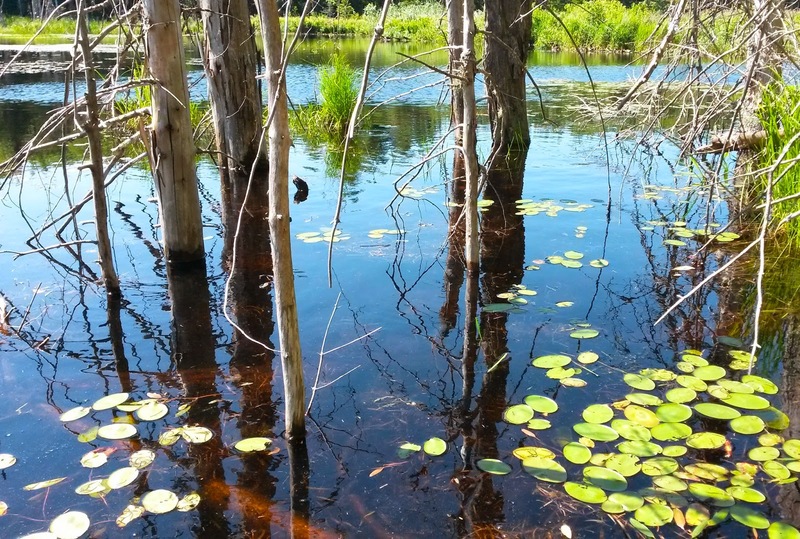 The deep water kills trees but also provides habitat for a variety of flora and fauna. Their industry amazes me! 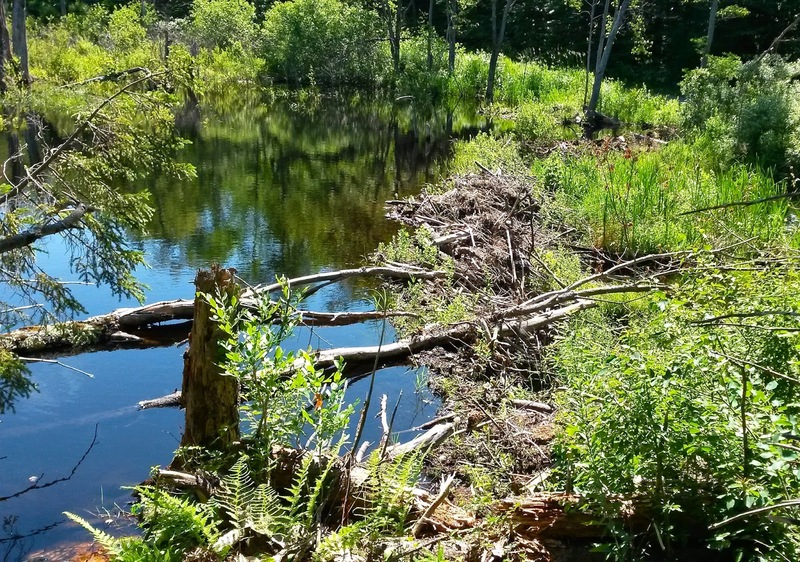 to dark (older activity), the beavers must have been working on these trees for years. 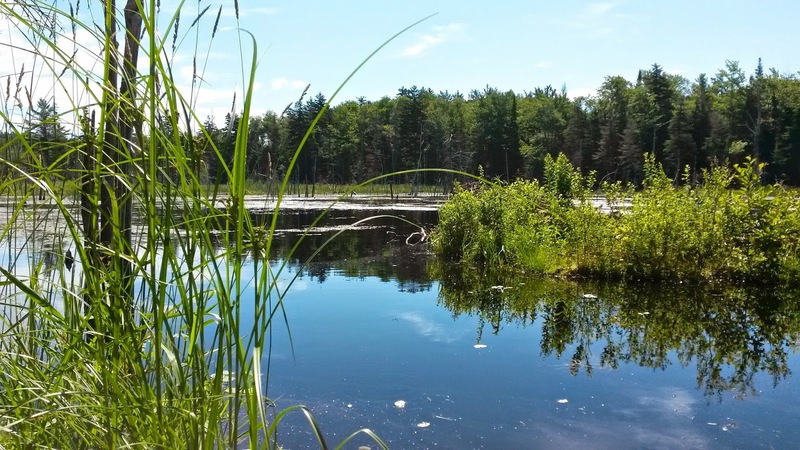 Here is the dam which raised the water level many feet creating a pond. Some trees die but many other plants thrive. I'm not good at estimating area, but this beaver pond was large! 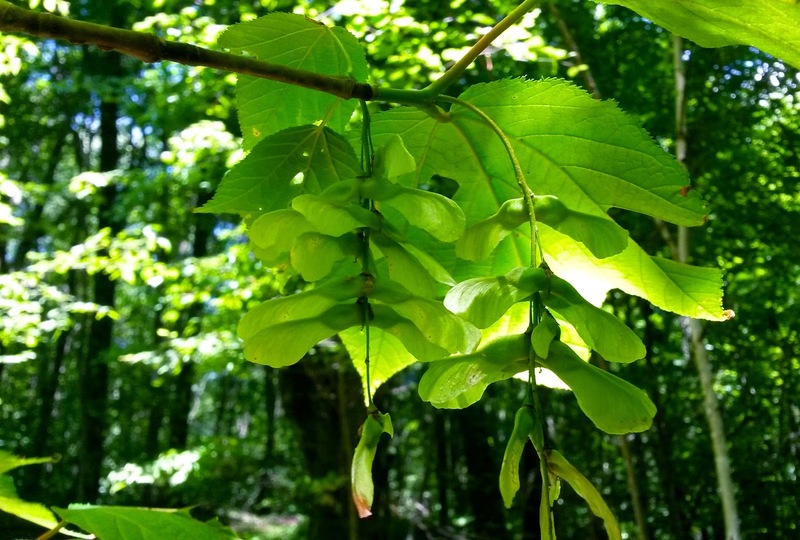 Here are the seeds, called keys, of the Striped Maple which enjoys the wetness. 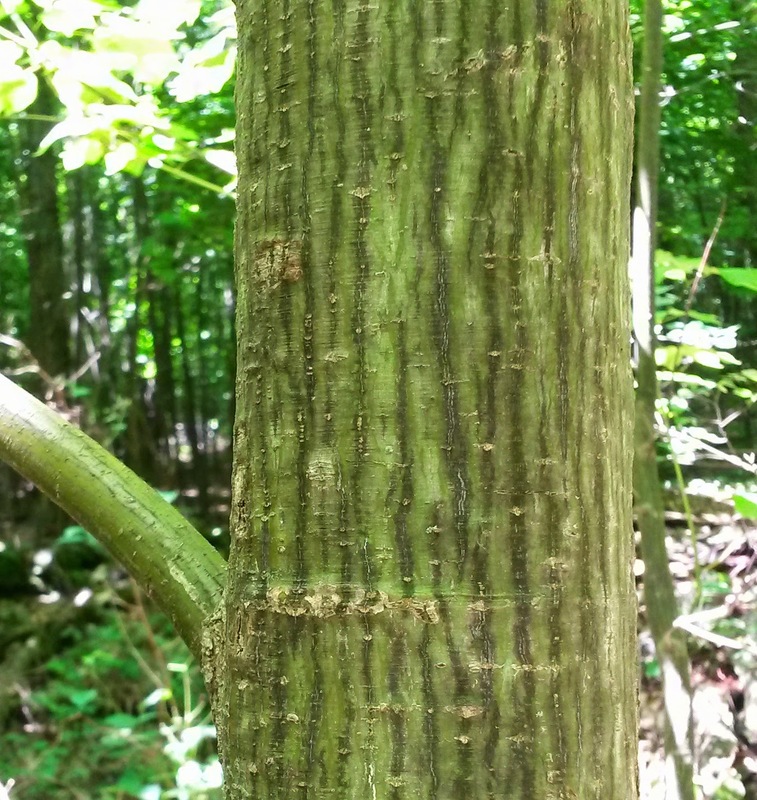 This maple is named for its striped bark. 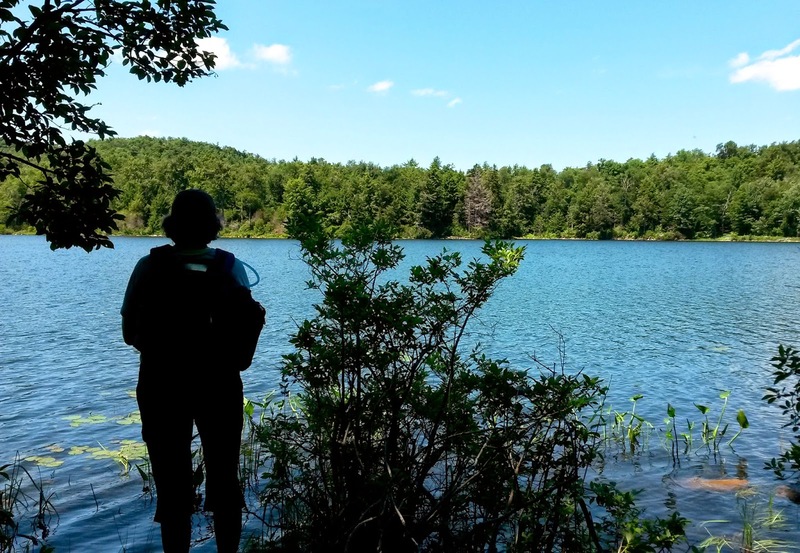 We also enjoyed the views at Finerty Pond.